Basecamp Records are finally proud to present the long awaited brand new single released by E=MC entitled “Khang” featuring Dildarpreet! Their brand new album “2 Fingers 2 The Game” is out now on all major leading digital platforms! Tej Gill is back with his highly anticipated brand new single entitled “Tu Hi Tu“, Produced by E=MC!! Aman Sandhu is back with his highly anticipated brand new single entitled “Dream Girl” featuring Roach Killa, and Produced by E=MC! This is the first single taken from E=MC’s brand new album “2 Fingers 2 The Game” coming soon! 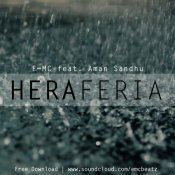 Aman Sandhu is back with his brand new single entitled “Hera Feria“, Produced by E=MC! Available to download for FREE!! 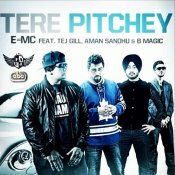 E=MC releases his long awaited brand new single entitled “Tere Pitchey” featuring Tej Gill, Aman Sandhu & B Magic! ARE YOU E=MC? Contact us to get a featured artist profile page.